This Business opportunity is knocking your door. The property is perfectly located in central Platanillo It borders the soccer field, It is right in front of the Highway San Isidro-Dominical. The full property has a construction area of 5,395 square feet. The construction is a combination of two different businesses a Bar- Restaurant and Supermarket . 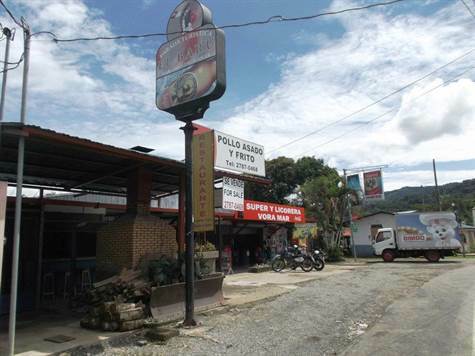 The property comes with all Municipality permits to operate (Patentes) supermarket, restaurant and liquor also all permits from Health Ministry (Ministerio de Salud) are up to date. There is another building site, which can be used to build a synthetic soccer field and/or other businesses. Give me a call for more details or a property tour.